Wake up to picture perfect lawn with the powerful Greenworks 40V Cordless Lawnmower, with edge to edge cutting for a pristine finish. 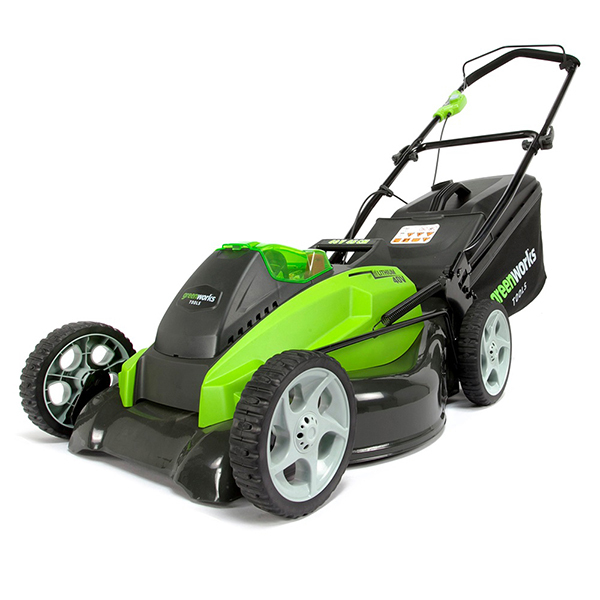 This mower is ideal for trimming and tidying your lawn, and features seven cutting heights to suit your preferences and grass’ needs. 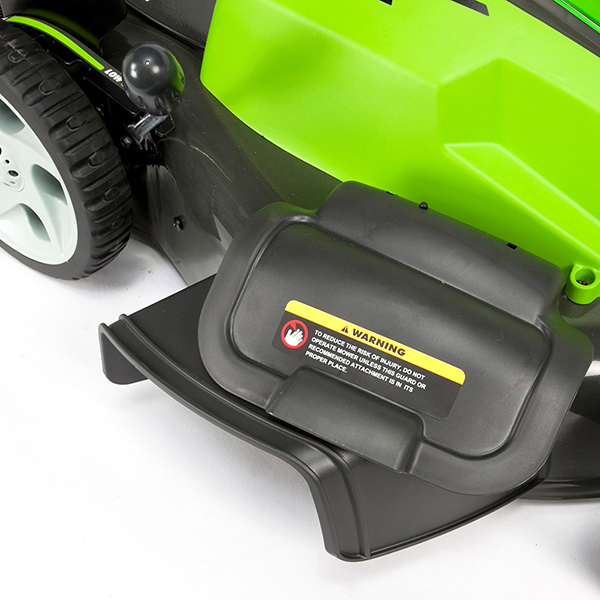 It’s also fitted with a metal deck to give it the durability of a larger petrol mower whilst the built-in impact motor ensures the correct power for the thickness of grass that needs cutting. This also ensures the power is cut to avoid overheating and damage from being overworked. 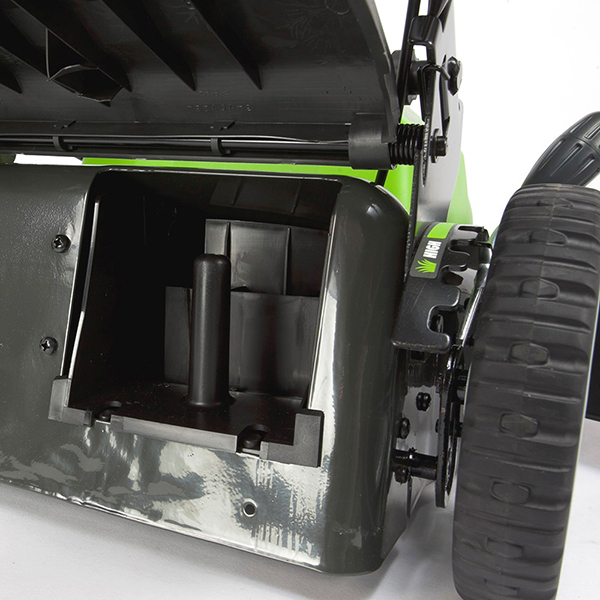 It’s prepped for bigger tasks too with a huge 50L grass collection bag, mulching plug and side discharge wing, making it ideal for meadow cuts, fine mulch and leave, and rear grass collection. 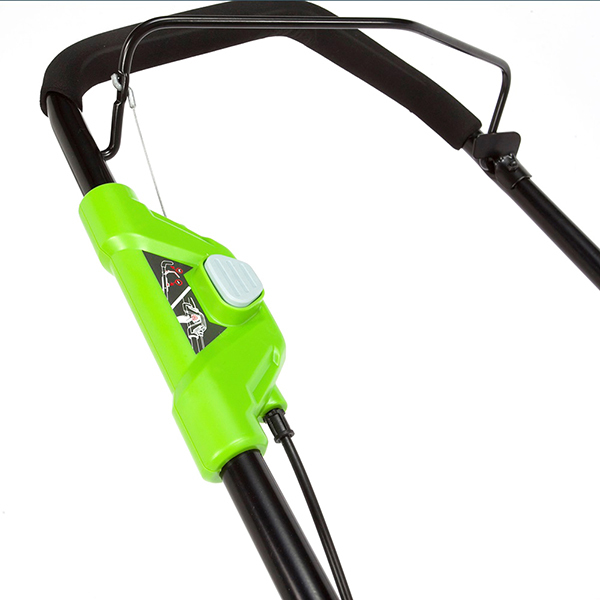 The cordless design provides total convenience for big and small spaces, allowing you the freedom to manoeuvre around every corner and never miss a spot! Designed with a two button safety start to help prevent accidental start up and a removable immobiliser key for improved safety around children. 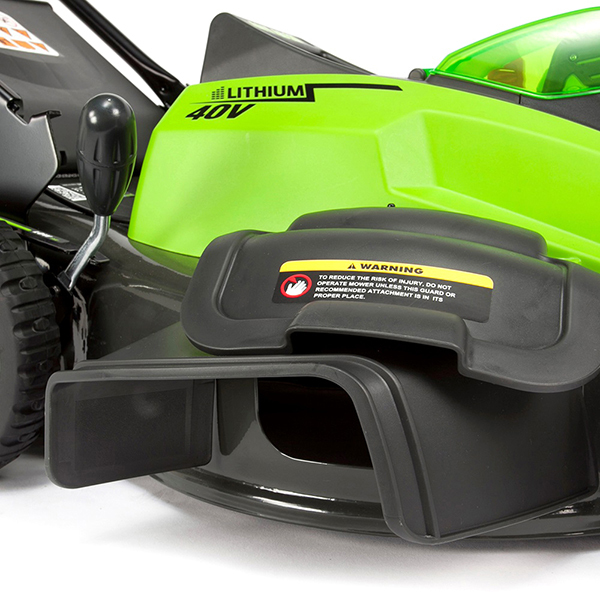 Its quick release handles mean this mower can be compacted in seconds for effortless storage. 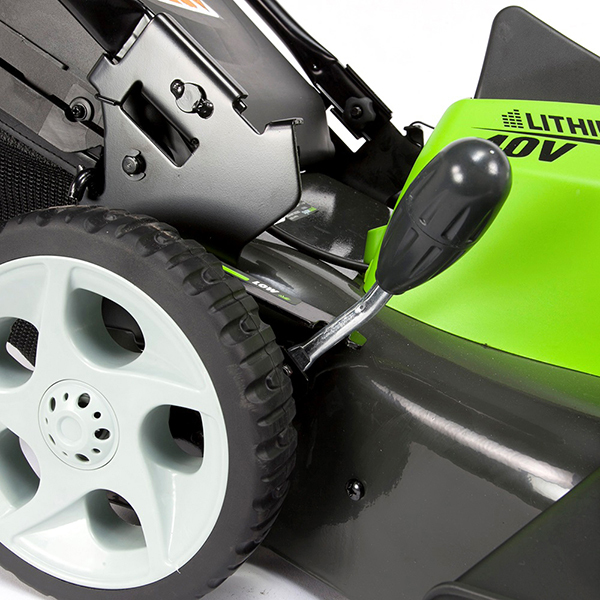 Watch the short features video to discover the impressive features of the Greenworks 45cm 40V Cordless Lawnmower.